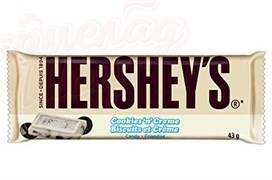 Шоколад Hershey`s Cookies `n` Creme 43 гр. 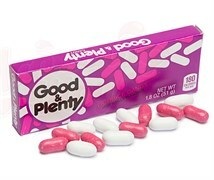 Лакричные конфеты Hershey Good and Plenty 51 гр. 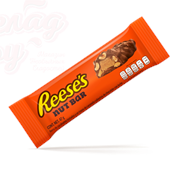 Шоколадный батончик Hersheys Reese's Nut Bar 47 гр. 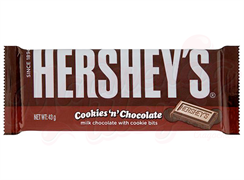 Шоколад Hershey`s Cookies `n` Chocolate 43 гр.